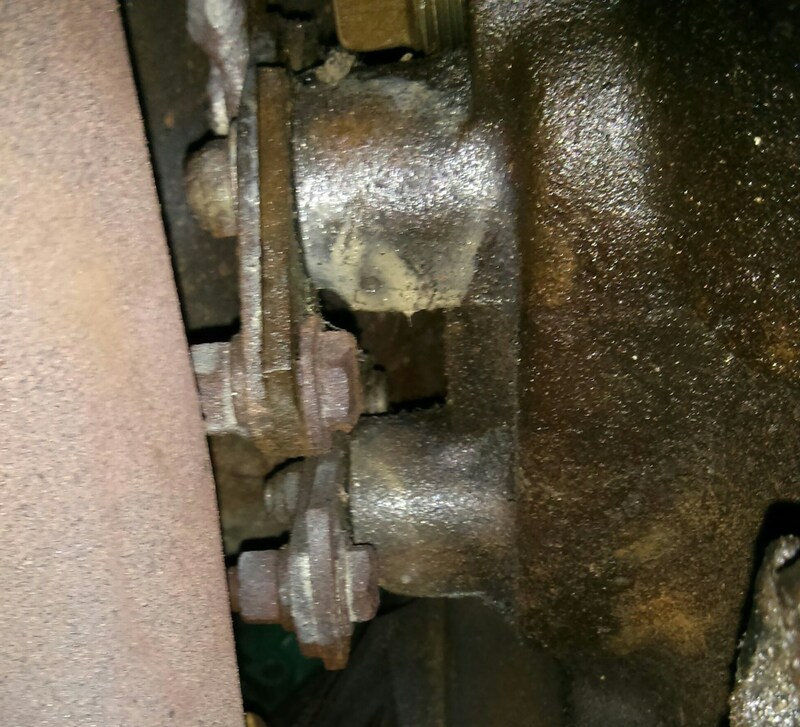 I want on a NAPA run and scored a rebuilt 65A Delco alternator, a fusible link, and the alternator electrical connector. 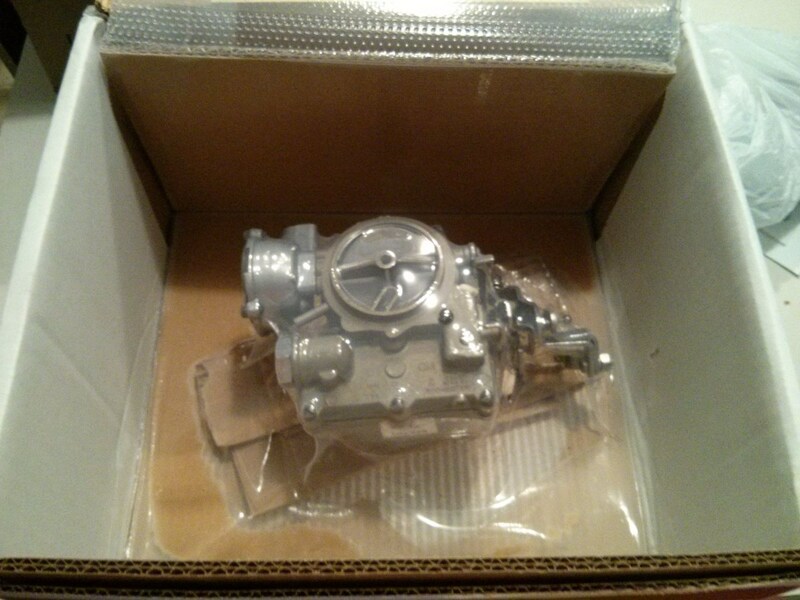 Now I have to install it. The first step is to figure out the existing wiring. 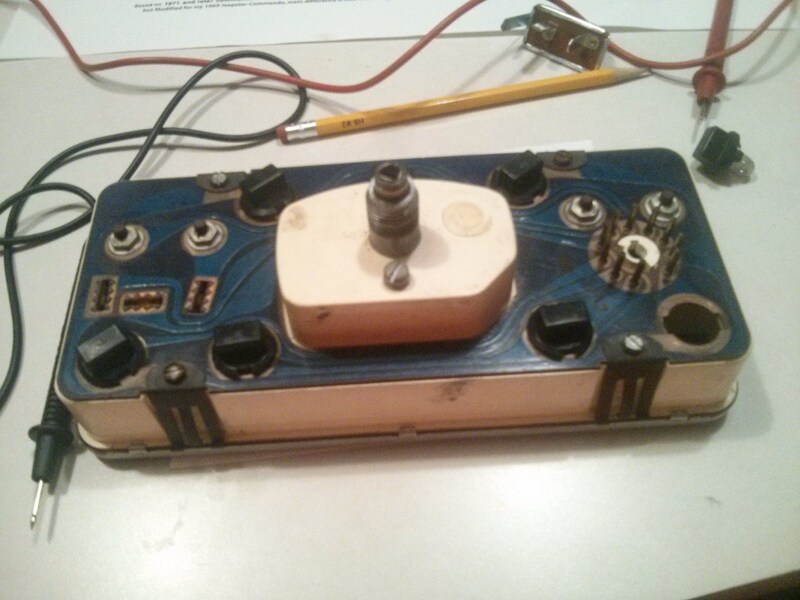 What we have here is the factory alternator wiring adapted to the ammeter my dad installed. 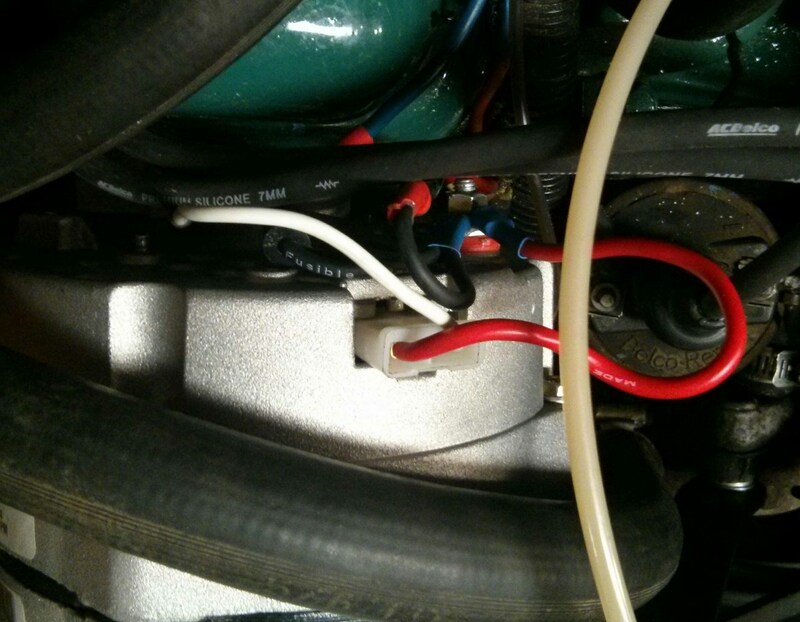 The positive battery cable is connected to the starter solenoid. 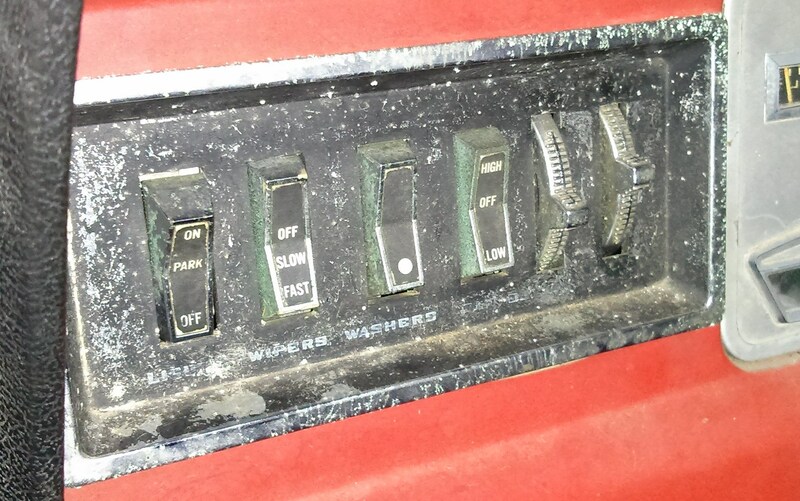 A red #12 wire runs from the solenoid terminal to a ring terminal that has been bolted to a blue wire running back to the ammeter on the dash. That joint is the silver blob in the upper middle of the picture. Another blue #12 wire runs from the other side of the ammeter to that ring terminal in the upper left of the picture. So that is the battery side of the circuit. 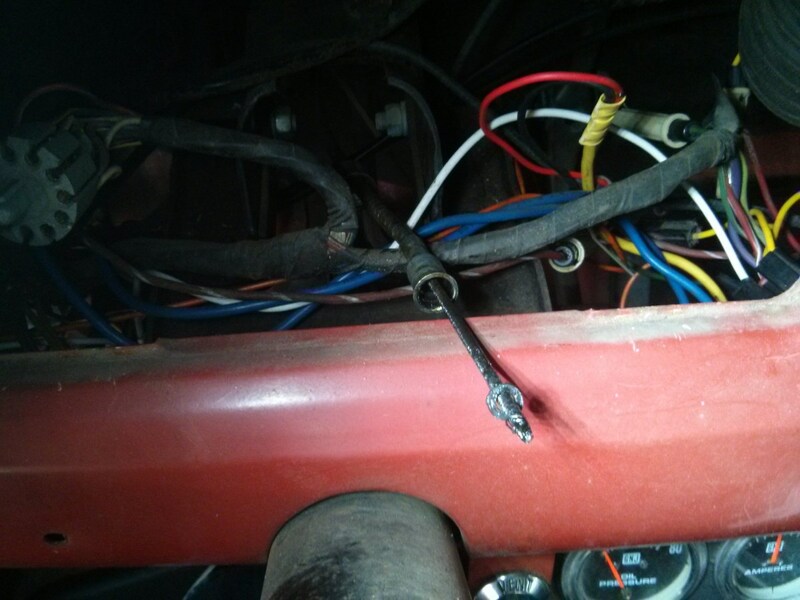 The other loose red wire with a ring terminal supplies power to the rest of the car via the circuit breaker back on the kick panel. 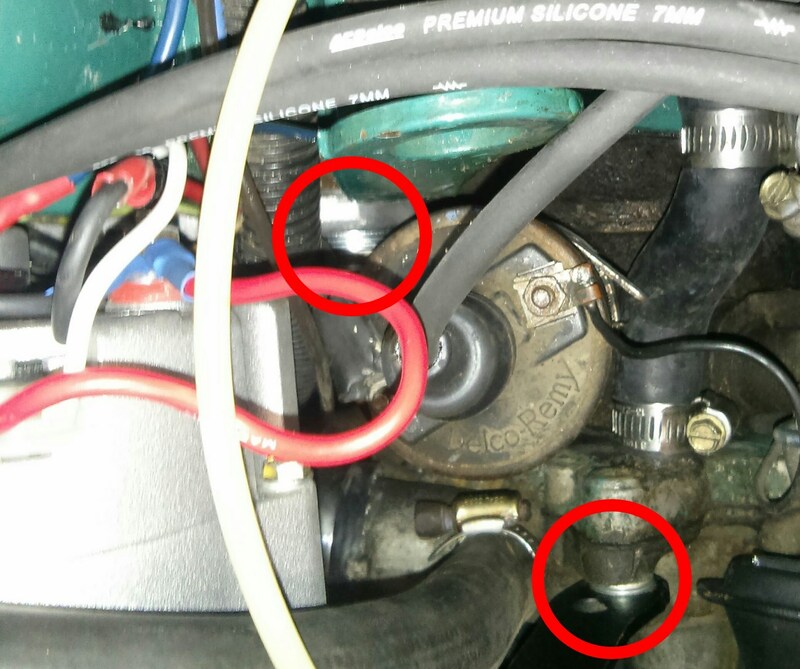 Both the loose ring terminals used to attach to the output terminal on the old alternator. The thin grey wire feeds to the amp light on the instrument cluster. 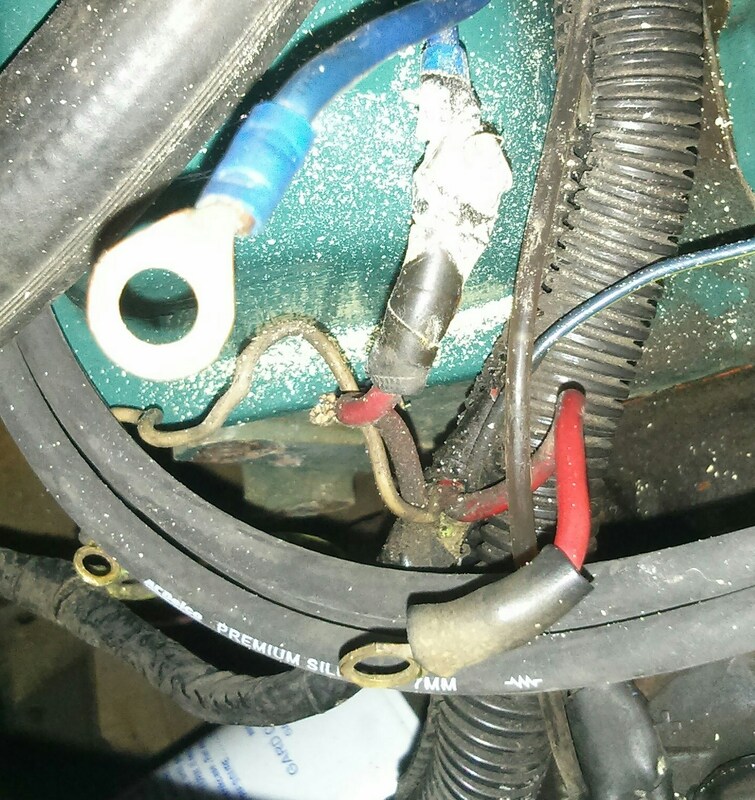 This picture I took before ripping out the old alternator shows how the wires were connected. We are going to do something similar but more safely and with (hopefully) better reliability. 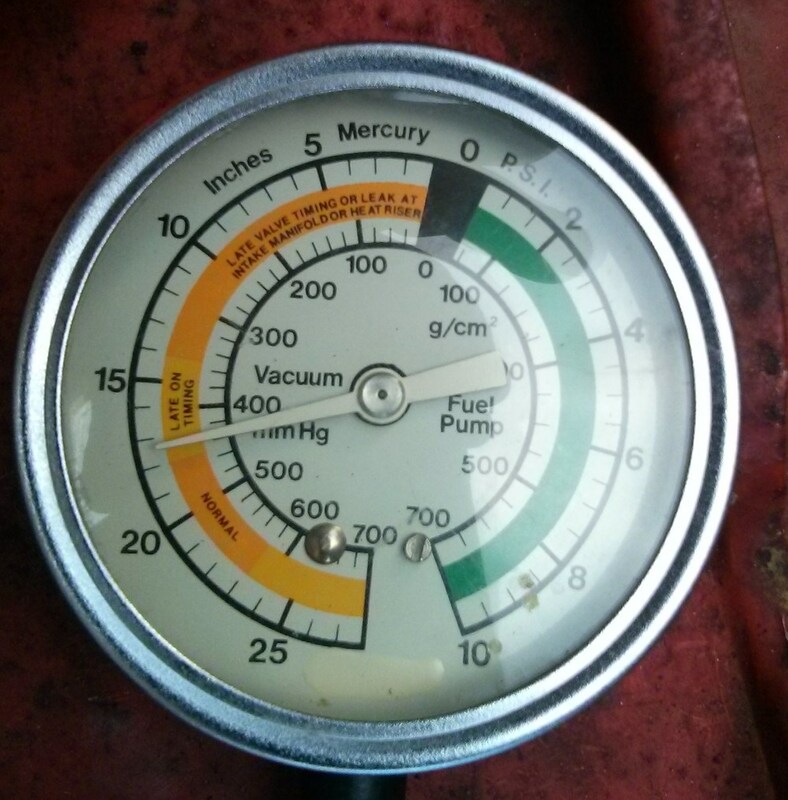 First step is get the old regulator out. We will not need this any more, the Delco is internally regulated. Three screws and it is gone. Second step replace that bolt and two ring terminals. 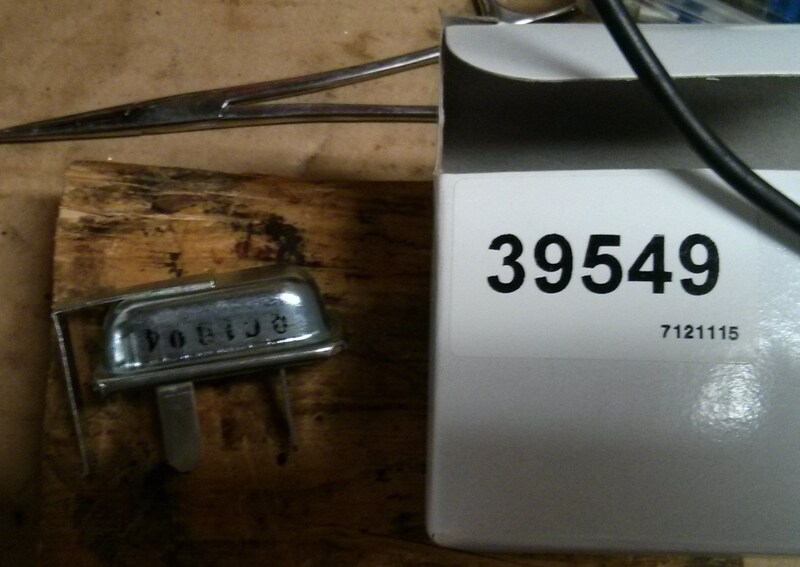 I soldered the wire from the solenoid (and battery) to the ammeter wire and protected it with shrink tube. 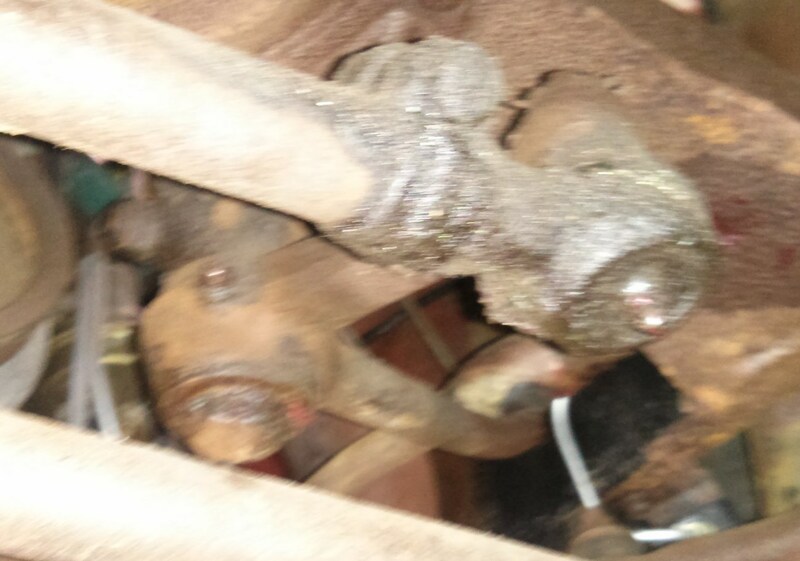 That white stuff all over the valve cover is debris from the tape that was insulating the old connection. This is the custom fusible link I put together to feed this system. 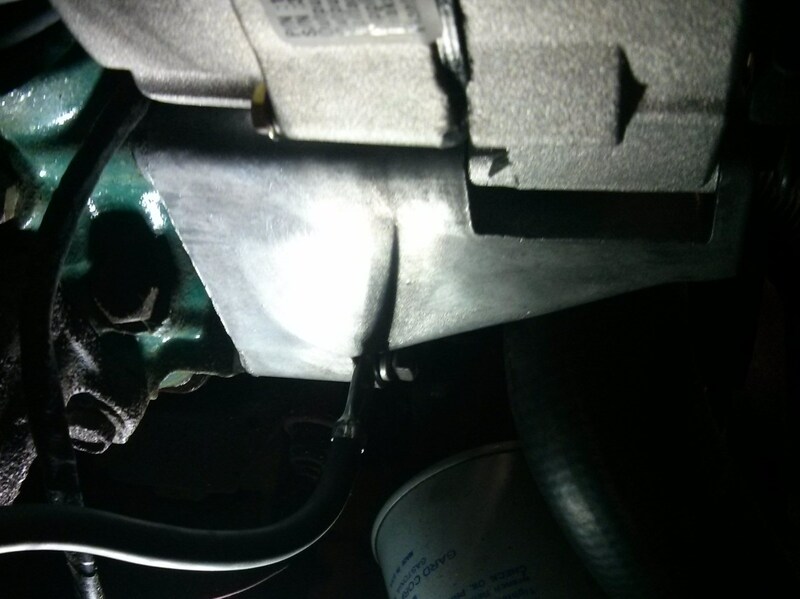 The idea behind a fusible link is to protect the rest of the car from a major short. The link is simply wire in a extra-sturdy insulation. 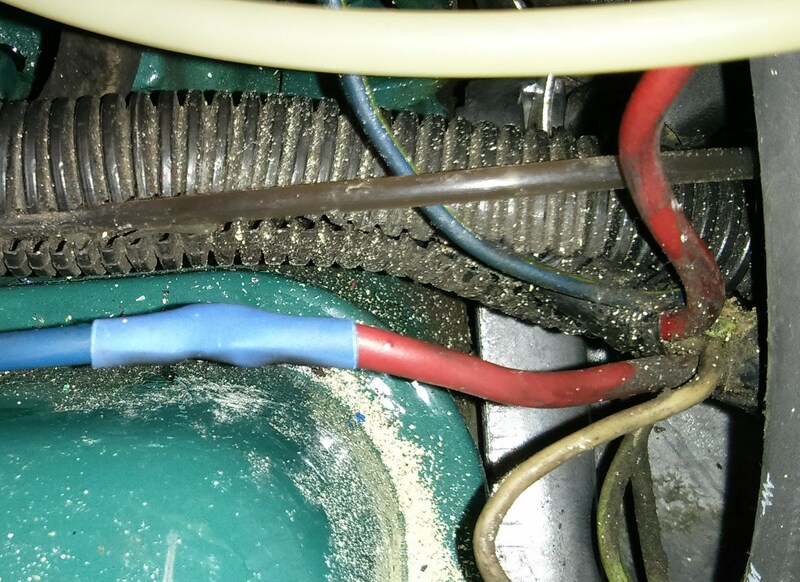 If the system shorts the wire burns up contained in the insulation protecting the rest of the system. 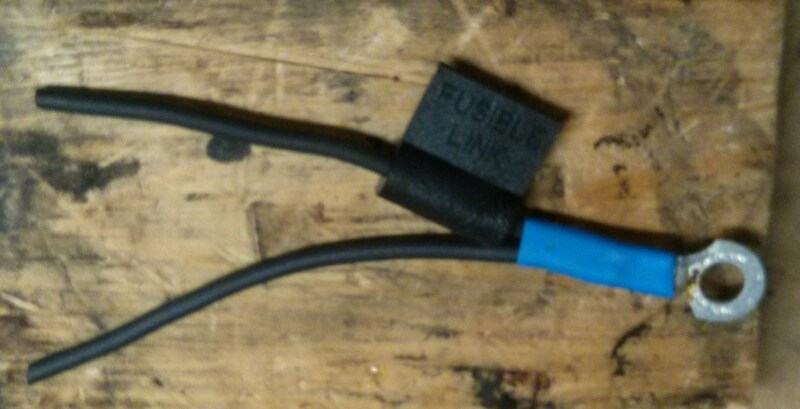 The fusible link should be 4 gauges less than the wire being protected. Since with are running #12 wire the fusible link is #16. 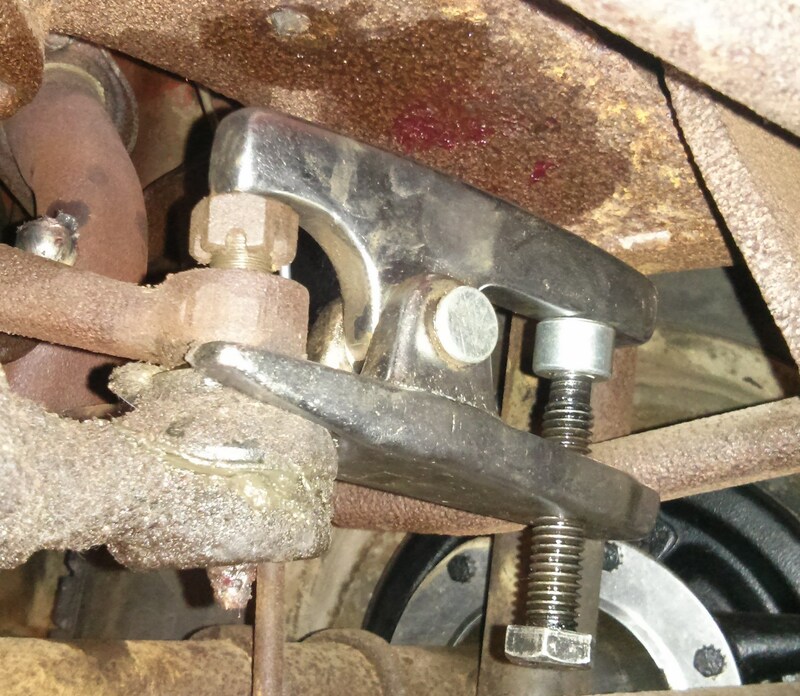 Since there are two branches off the alternator I put two fusible links on one ring terminal. 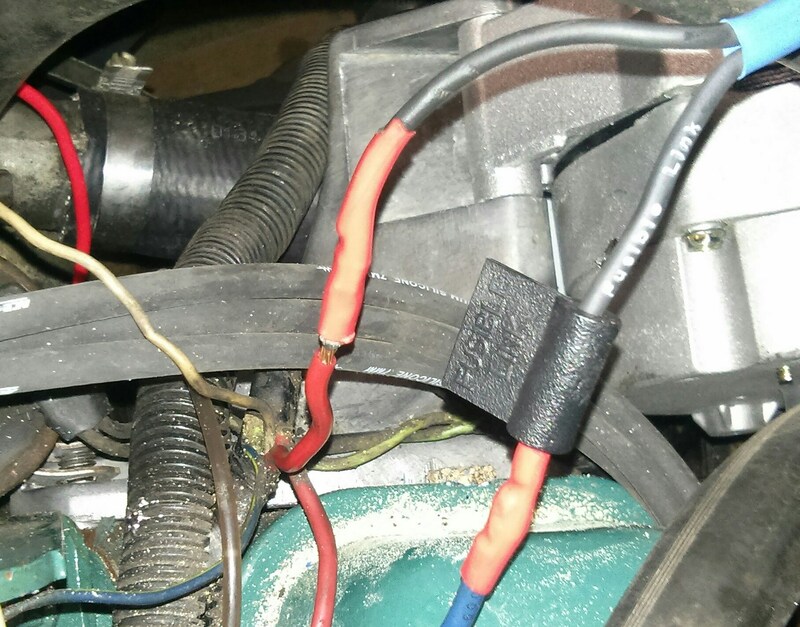 That ring terminal will connect to the output terminal of the alternator and the two branches will be soldered to the red and blue wires in the picture above that feed the car and battery respectively. 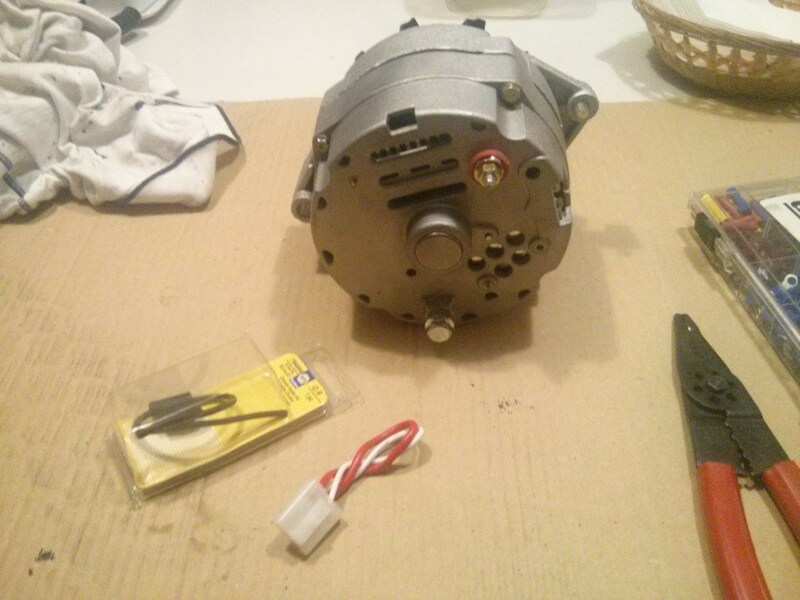 Time to test-fit the new alternator. Fits nice and the wires will reach. I also ran a new negative battery cable. 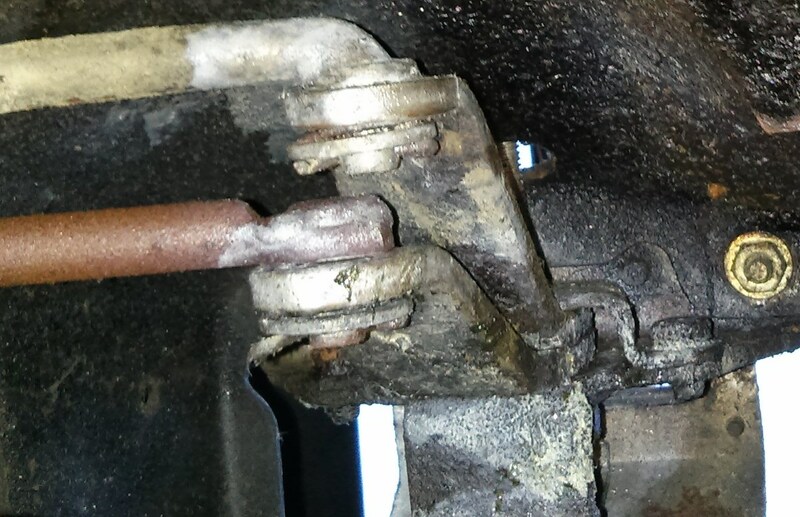 Here you can see it snaking down to the bottom bolt on the alternator mounting bracket. 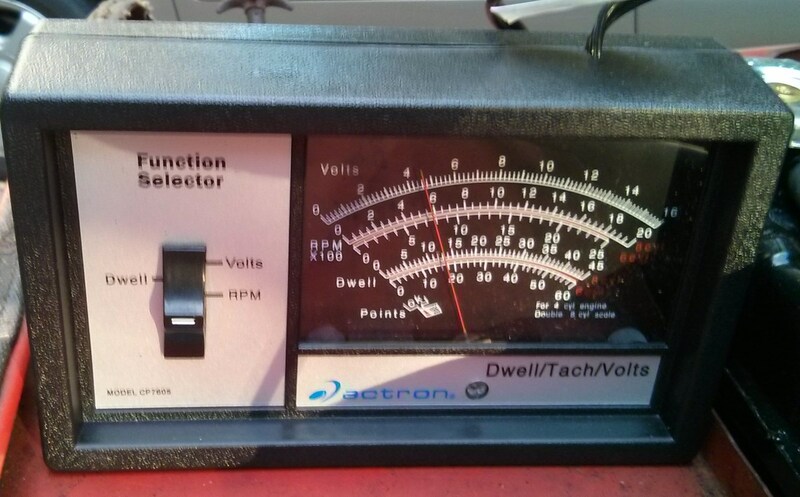 I got a new voltage regulator in the mail so I decided to take a side trip into getting the gauges working again. 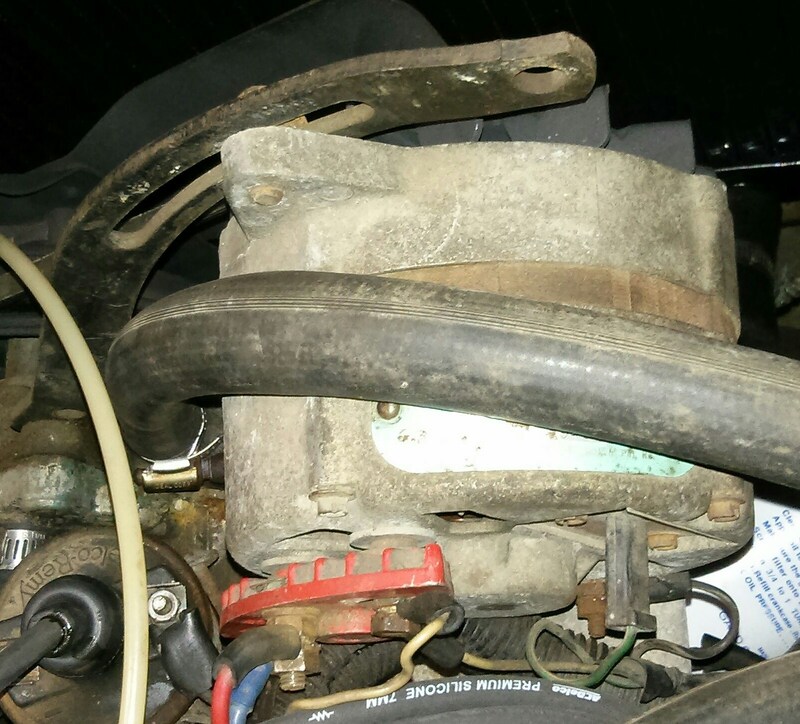 The main reason is I want to make sure the amp light will work with this alternator. 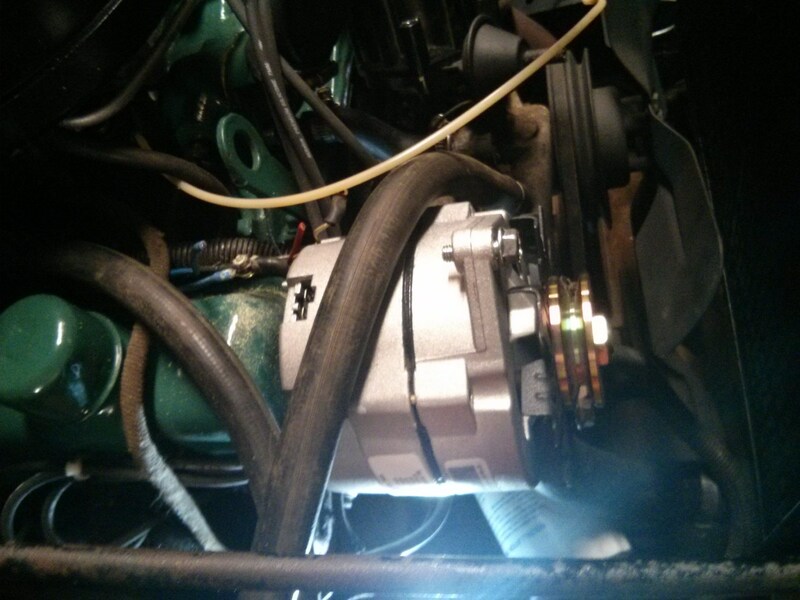 I installed the regulator and rigged the alternator wiring so the car got power. But the gauges are still dead. Dammit. I checked the ground on the regulator and that was fine so the problem must be elsewhere. 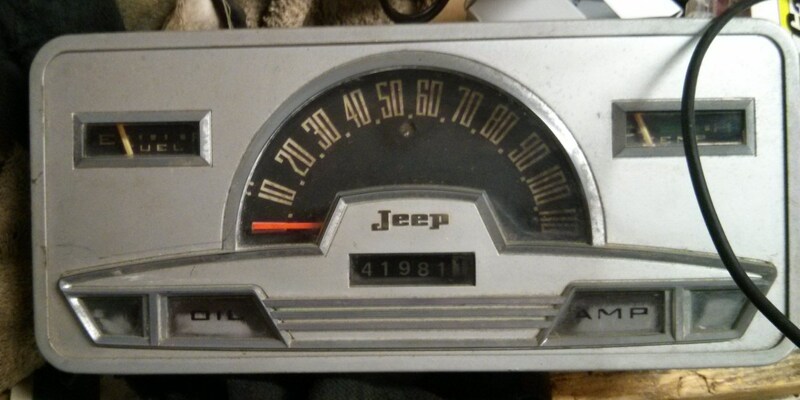 I figured the next step was to remove the gauge cluster and see what is going on. It actually came out really easily. 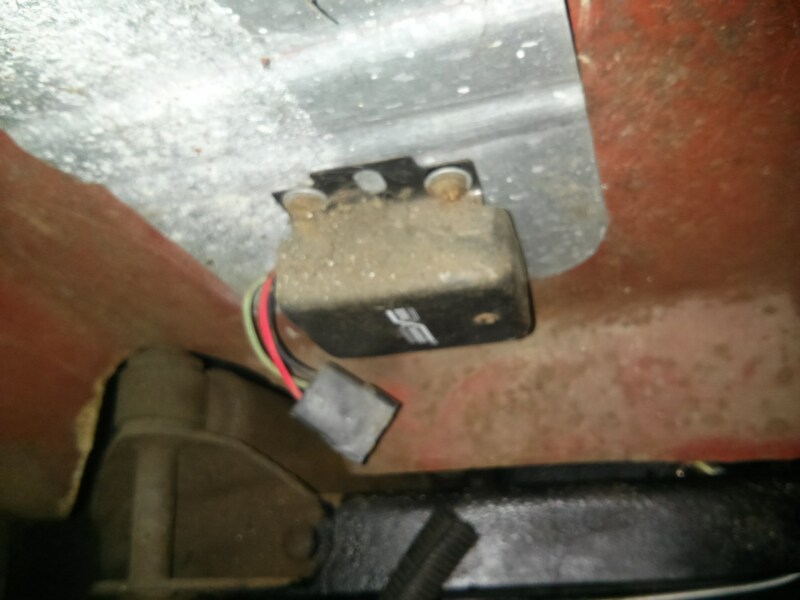 I unscrewed the speedometer cable, disconnected the electrical connector, then pressed the spring clips and it popped right out. Now we can see everything. 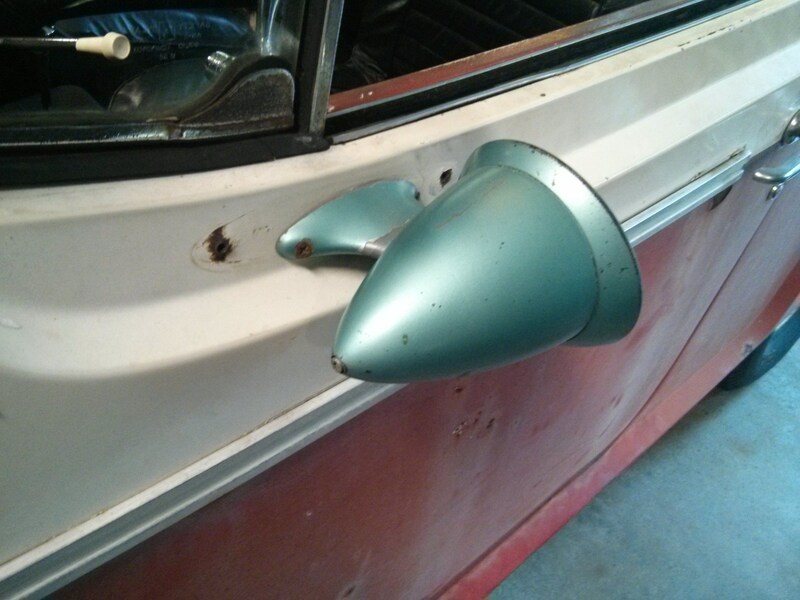 I should have done this before, it gives great access to the rest of the dash wiring. 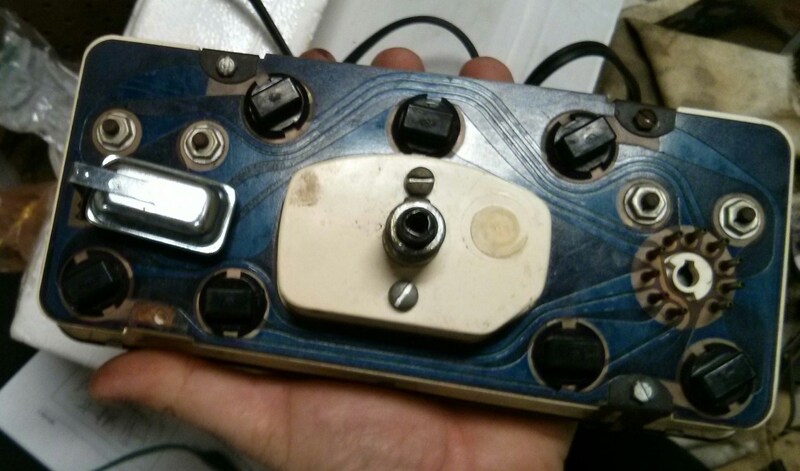 You can see here where the regulator goes and the electrical connector on the right side. When I turned the cluster over it rattled. That can’t be good. And there is the rattle. Three of the light bulb sockets are broken and several others are pretty brittle. 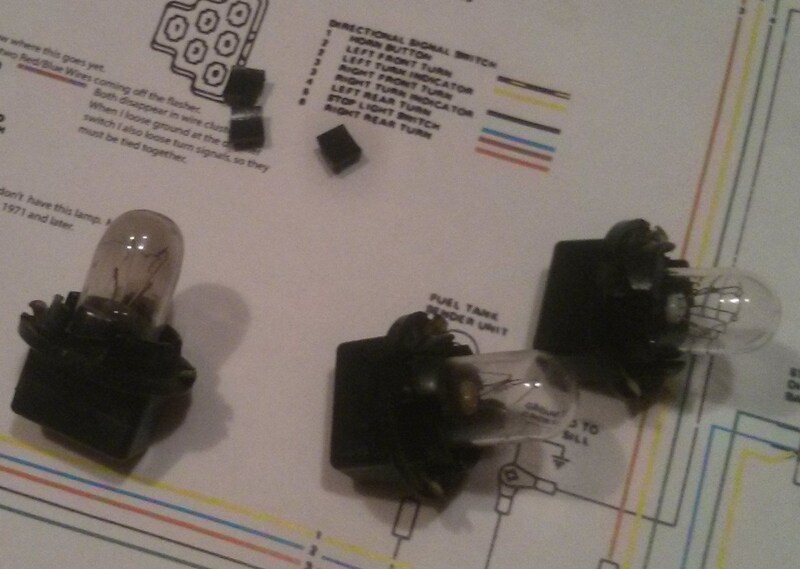 I think these are standard IP light bulb sockets so I will just replace both the bulbs and the sockets. I tested the printed circuit board on the back of the cluster and found that the board is good but the contacts on are all pretty dirty. I cleaned them up. That might have been the problem but I will also check the cluster connector wiring before I put this back in. 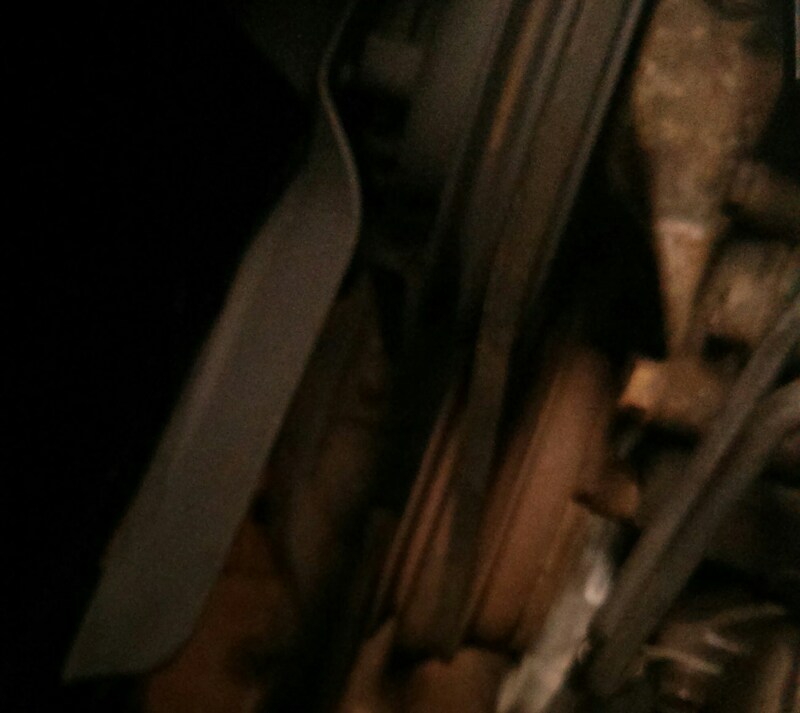 I will also have to clean and lube the speedometer cable, which will be a messy job. 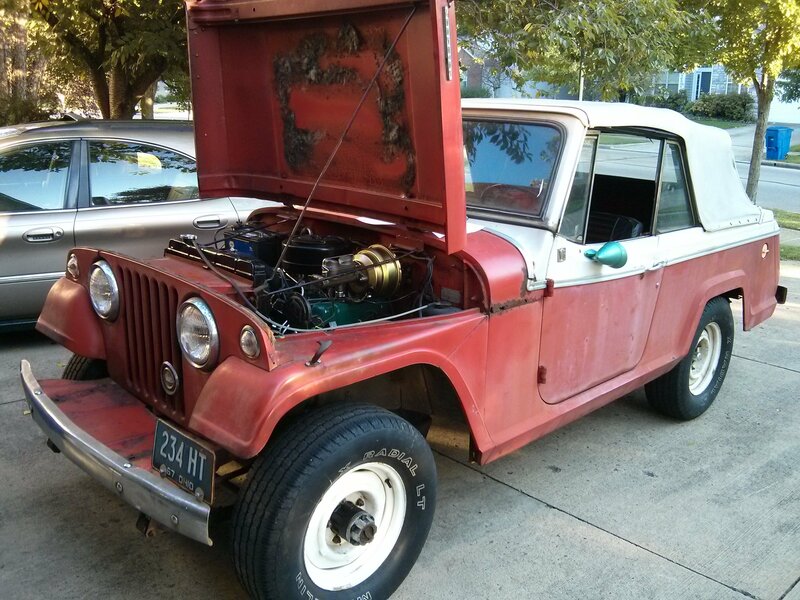 Meanwhile I will have to finish up the alternator wiring. But I am out of time for now. I have been taking the Jeep on longer and longer shakedown drives. Last Tuesday I even drove it to work. The suspension and steering are a hot mess and the tires are crap but I knew all that. The only odd thing has been the charging system. I took the car for a drive to warm it up then hooked up the tach and vacuum gauge to adjust the idle mixture. 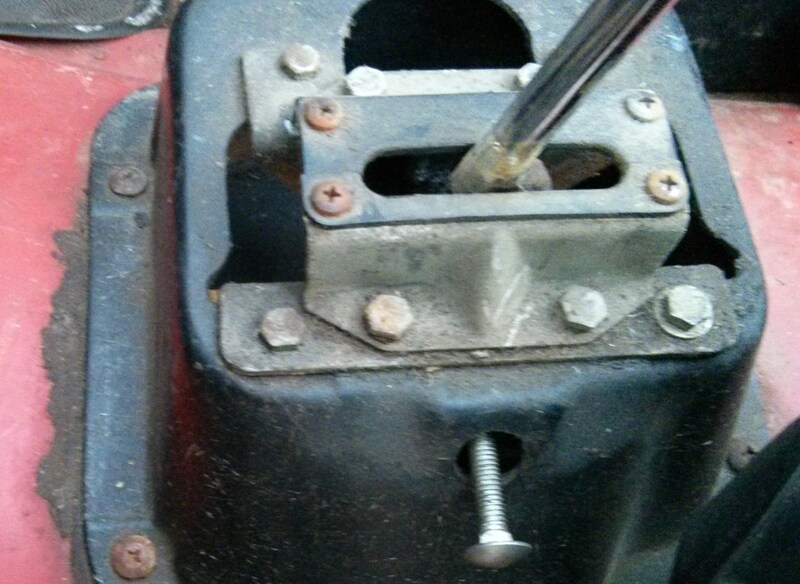 I turned the mixture screws 1/4 turn at a time adjusting the idle as needed. 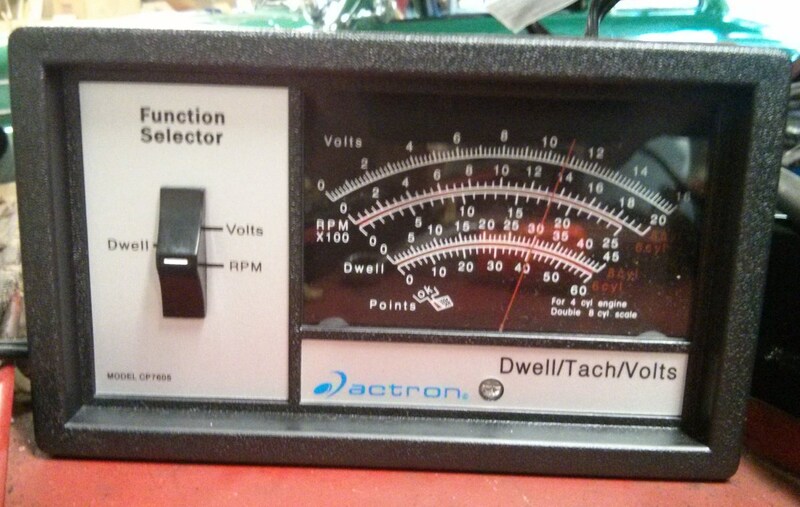 I think I found where the vacuum is highest, but it seems like the screws are awfully far in. The vacuum also seems a little low. The car has a really lumpy idle, which I sort of expected from the odd-fire engine but I suspect I might also have a low-speed miss. I will have to check compression. 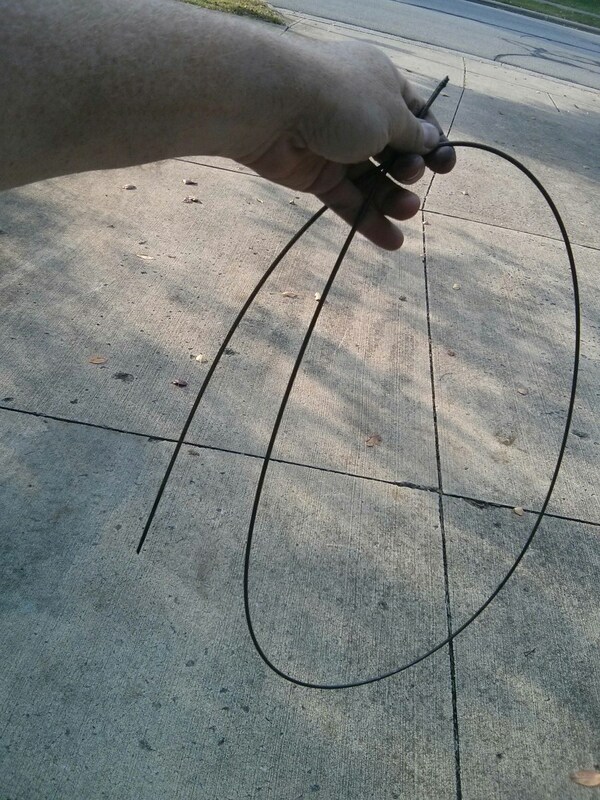 I might have a sticky ring or something. The car pops out of first gear, which according to the manual is most likely the shifter out of adjustment. 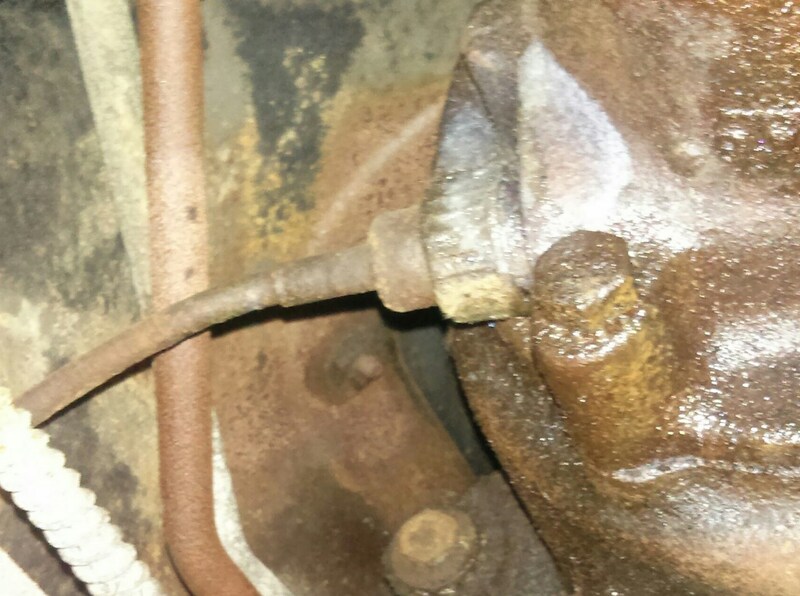 That bolt in there is 5/16″ in diameter which fits in two adjustment holes in the shift levers. Here is the bottom of the shifter. That bolt is going in through the hole you can see up top. 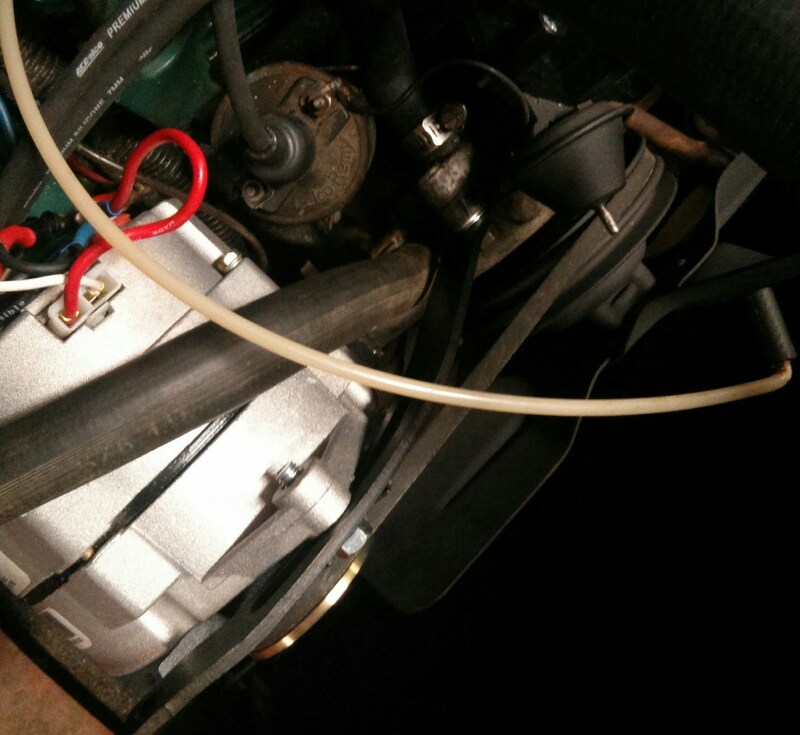 When I got the Jeep engine put back together I figured there was a better than even chance I would have to take something apart again so I just filled it up with plain water.